Angler banks monster near 60lb UK mirror on Red Amo, during dream carp fishing session. Could this be one of the best carp fishing sessions ever? 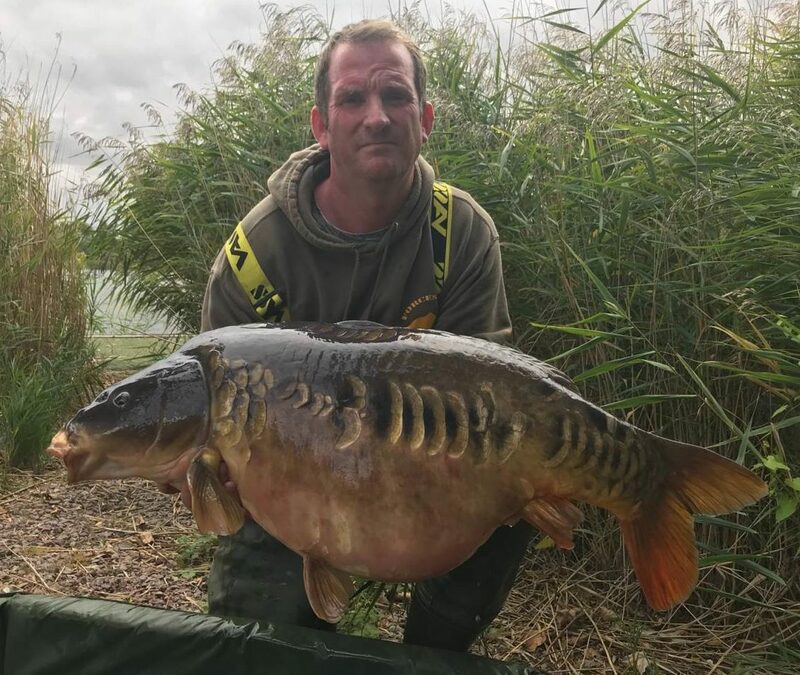 Carper Gareth Hughes enjoyed the trip of a lifetime after setting a new personal best and banking an amazing haul of back-up fish during a three day trip on a Cambridgeshire stillwater. 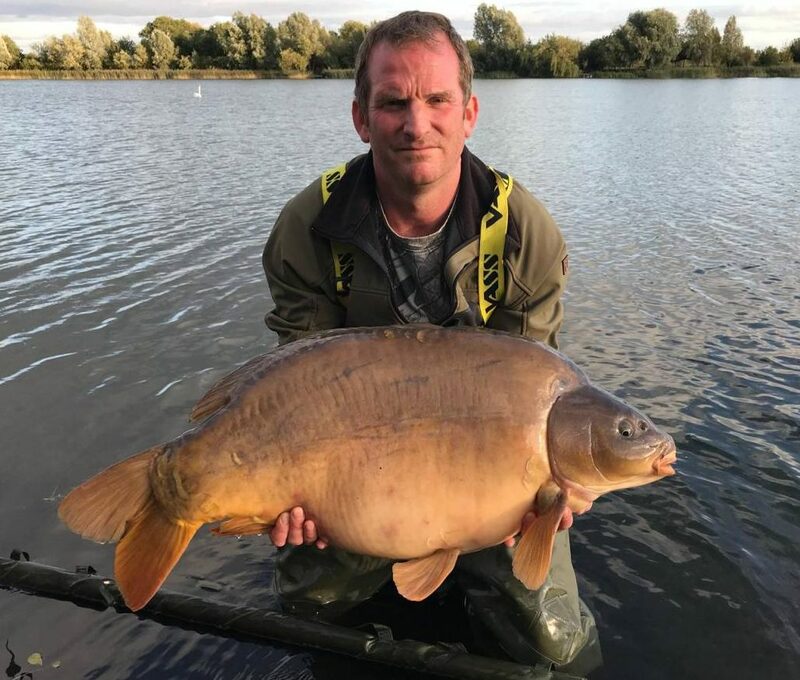 The Bedford based man was fishing on the renowned Grenville Lake where he banked fish of 40lb 8oz, 38lb 11oz and 34lb before hitting the jackpot with his first UK fifty a whopping 58lb 12oz specimen! 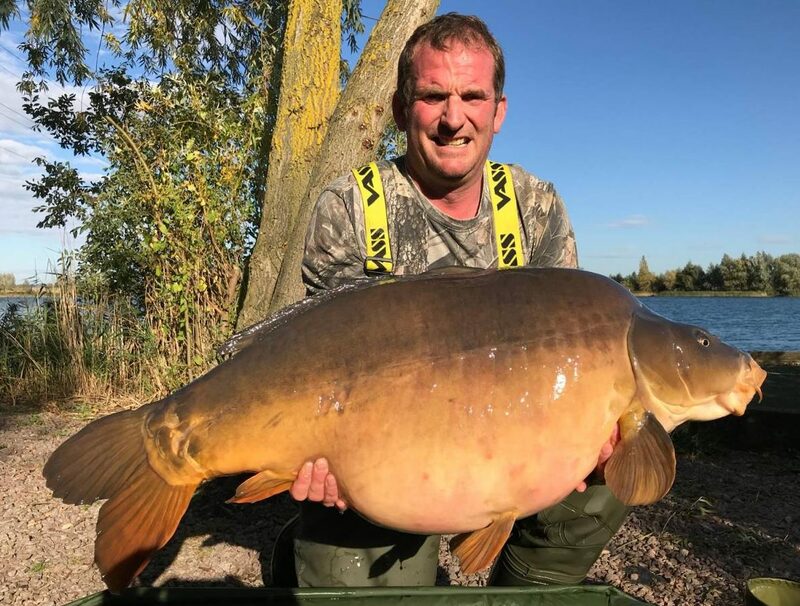 The monster fish is the same fish which graced Paul Bennett’s net earlier in the year at a venue record weight of 59lb 1oz. Gareth caught all his fish using Red-Amo pop-ups fished on his own version of a Multi-Rig after feeding around 15-20kg of Red Amo freezer baits to a spot around 100 yards out. Gareth’s 40lb 8oz fish was his PB for just one day!